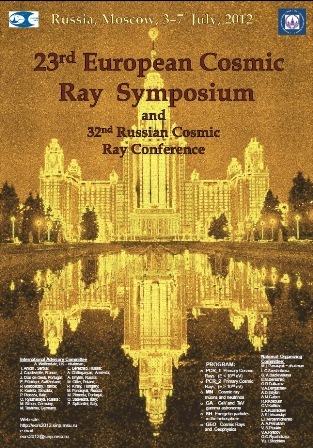 The 23-rd European Cosmic Ray Symposium ECRS-2012 will be held at the Lomonosov Moscow State University in Moscow from July 2 through July 6, 2012. European Cosmic Ray Symposium (ECRS) is a biennial forum where scientists from Europe and other parts of the world can gather and discuss the actual problems and new findings in cosmic ray physics. Traditionally ECRS covers the whole spectrum of cosmic-ray related studies, from solar-terrestrial to ultra-high energy. The series of ECRS has been initiated in 1968 and since then takes place every two years, between biennial International Cosmic Ray Conferences. During its 40-year history ECRS has been hosted in 12 European countries , and in 2012 took place in Russia.